Limited access to water, sanitation and hygiene facilities is a major developmental barrier in India. In 2014, Prime Minister Narendra Modi launched a campaign to improve sanitation standards and clean the Ganges River before the 150th anniversary of Mahatma Gandhi’s birth in October 2019. That goal is unlikely to be achieved, but the five-year campaign has increased access to basic water, sanitation and hygiene facilities. Despite that, Modi is likely to emphasise the achievements made under his administration to clean the Ganges and lift access to sanitation in his re-election campaign. The Swachh Bharat (Clean India) and Namami Gange (Obeisance to the Ganges) campaigns are two of Prime Minister Narendra Modi’s flagship policies and aim to change Indian attitudes towards cleanliness and civic responsibility. 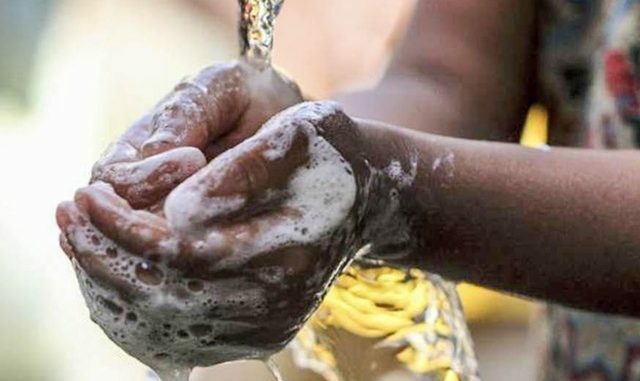 They seek to increase access to water, sanitation and hygiene services (WASH) and thereby alleviate the health problems caused by limited access to those services. The campaigns have achieved limited results, however, and are unlikely to achieve their aims by the 2019 target. Modi will continue to campaign on WASH issues in his bid for re-election in 2019. Limited access to sanitation has an immense effect on Indian society; three of the seven most common causes of disease and death are related to malnutrition, dietary risks and poor water sanitation and hygiene. Each year, 117,000 Indian children under the age of five die due to diarrhoea, which is often caused by unhygienic living conditions, a lack of clean water and unsatisfactory sanitation. The lack of sanitation in India is so severe that some commentators suggest that it ‘is keeping India from being a superpower’. Narendra Modi launched the Swachh Bharat campaign in October 2014. On the day of its launch, Modi picked up a broom and swept the pavement of Valmiki Basti, a community of sanitation workers in New Delhi. Various political analysts suggested that this campaign is part of a broader effort to change Indian cultural norms towards cleanliness and civic responsibility. Others, however, saw it as a ploy to co-opt the political momentum of opposition parties and, in doing so, reduce their appeal. During his election campaign, Modi repeated a statement from Jairam Ramesh (who was the minister of rural development in the Congress government at the time) arguing that India should build ‘toilets before temples’. Modi stressed the importance of sanitation and clean water to development, hygiene and public health. As part of the Swachh Bharat campaign, Modi promised to improve sanitation and water services across India. A central component of the programme involves the construction of sanitation and sewage facilities for more than 36 million households by October 2019, 150 years after Mahatma Gandhi’s birth. The Ministry of Drinking Water and Sanitation claims that since the launch of Swachh Bharat, the number of rural people practicing open defecation has declined from 550 million to 320 million. Rural sanitation coverage has also reportedly increased from 39 per cent in October 2014, to more than 90 per cent in August 2018. If that is true, India is on track to at least have the basic infrastructure in place to achieve one of the central components of the campaign by October 2019. That infrastructure is not always connected to sewer lines or treatment plants, however, calling into question the wider aims of the campaign. Getting people to actually use sanitation infrastructure is another challenge. The WHO and other international organisations measure progress on WASH outcomes through household use of sanitation facilities not the mere presence of them. In some villages, government employees and volunteers patrol public spaces to encourage, and in some cases coerce, people not to defecate in the open. While the number of Open Defecation-Free (ODF) villages have increased considerably since 2014 (according to data compiled by the government), ODF villages do not always retain that status due to poorly built or maintained toilets. Government data, however, does not appear to reflect that reality. The long-term viability of the Swachh Bharat campaign is also called into question, given the water security pressures that India is expected to confront. Limited access to water is one of the challenges to building operable and functional WASH facilities. India is likely to experience a severe water crisis within the next 20 years, according to a report launched in June 2018 by the National Institution for Transforming India, the Indian Government’s policy think tank. It estimates that water demand will be double the available supply by 2030. Already an estimated 200,000 Indians die each year due to inadequate access to safe drinking water and 600 million are water stressed, as they have access to less than 1,700 cubic metres of water per year. Poor sanitation standards also affect the health of Indian rivers and the surrounding environment. The Ganges River, for instance, is one of the most polluted water bodies on the planet. While pollutants flow into the river throughout its course, a significant amount is added from tanneries and large cities in Uttar Pradesh close to its source in the Himalayan foothills. It is partly due to the large amount of pollution coming from that province that a previous river restoration effort, the Ganga Action Plan, was launched by Prime Minister Rajiv Gandhi there in 1986; it aimed to clean the wastewater from the tanneries of Kanpur and the sewage of Varanasi, but population growth quickly overwhelmed the sewage treatment plants that were built. It is a mistake to believe that the Ganges becomes increasingly polluted as it winds its way towards the Bay of Bengal, however. Inflow from tributaries flowing from Tibet and the deposition of pollutants along its course makes it much more complicated than that. As the Ganges flows through the Gangetic Plain, the food bowl of northern India, large amounts of water are extracted for irrigation. It is also here that fertiliser and pesticide runoff begins to enter the river. Most of the pollution in the Ganges is caused by domestic sewage and toxic chemicals from tanneries and pulp and paper mills. According to some measures, approximately 40 gigalitres of untreated household wastewater flows into Indian rivers each day. Cleaning the Ganges River was a major policy platform in the Bharatiya Janata Party’s (BJP) 2014 election campaign. After his inauguration as Indian Prime Minister in May 2014, Modi launched the “Namami Gange” (Obeisance to the Ganges) initiative. Noting the importance of the Ganges River to Hinduism, Jairam Ramesh, (who was also a Minister of State (Independent Charge) at the Ministry of the Environment and Forests), argued that he emphasises the health of the river to appeal to the Hindu-nationalist supporters of the BJP. That view was reinforced when Modi appointed Uma Bharti, a Hindu nationalist who is perceived to have strongly supported Hindu militancy, as the Minister of Water Resources, River Development and Ganga Rejuvenation. Several specific projects to clean the Ganges were officially launched in 2016, with an initial deadline of October 2018. After falling behind on the dispersal of funds, that deadline was revised to March 2019. As of August 2018, only one-quarter of the projects are complete. Of the 105 planned sewage treatment projects, only 26 have been completed. Preventing pollutants from entering the river is one way to restore its health, but some environmental experts also recommend increasing water flow by removing artificial obstructions and halting the construction of new dams. The Modi administration plans to build 16 new dams on Ganges between Varanasi and Kolkata. Environmentalists claim that those dams will turn the river into a series of 16 ponds, however, provided that those dams are operated with environmental water flows in mind, there is no reason to believe that they will undermine the health of the river. The Swachh Bharat and Namami Gange campaigns are likely to feature in Modi’s 2019 campaign. In his 2018 Independence Day speech, Modi claimed that his Swachh Bharatcampaign had served a great humanitarian purpose by stating that: ‘in a recent report the WHO has said that because of the cleanliness campaign three lakh [300,000] children were saved. The credit for saving lives of three lakh children goes to every Indian who was a part of this campaign. Saving the lives of three lakh children of the poor is surely a great humanitarian act and the world bodies are recognizing it’. The WHO actually stated that if the campaign achieves its goals by October 2019, the lives of an estimated 300,000 children will have been saved. While Modi is likely to continue to extol the achievements of his government’s water, sanitation and hygiene policies, it remains to be seen whether they will lead to long-term human development outcomes.